Nevada’s public utilities watchdog appears to be refereeing the impasse between Warren Buffett-owned NV Energy and several Nevada casinos with the expertise and objectivity of a professional wrestling referee. In return for being granted a near-monopoly under Nevada law, NV Energy must subject its major business decisions to the approval of the PUC. The PUC, in turn, is supposed to act as a watchdog on behalf of individuals and businesses that purchase power from NV Energy and is supposed to ensure NV Energy, owned by billionaire Nebraska stock speculator Buffett, does not take advantage of its near-monopoly status to put its customers at a disadvantage. 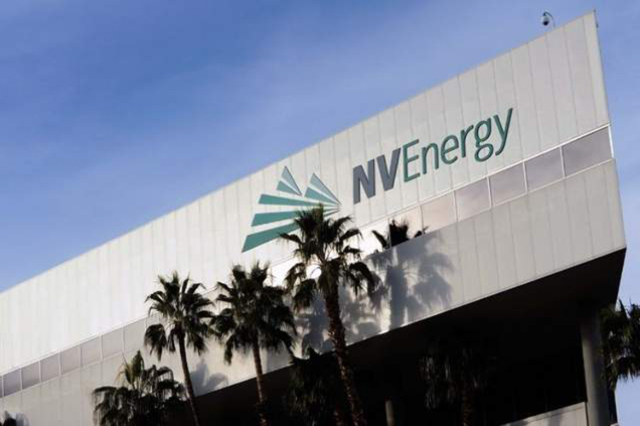 The state Legislature has granted customers an out clause from NV Energy, but has authorized the PUC to assess discretionary exit fees on those who leave. The exit fee, determined by the PUC, is supposed to compensate NV Energy for any increased costs the utility would incur as a result of the customer leaving. The very existence of an exit fee is controversial, because customers wouldn’t be looking elsewhere if NV Energy provided cost-competitive electricity. Regardless of the wisdom of the exit fee provision, state law directs PUC to set the exit fee at a reasonable and compensatory amount, rather than a punitive sum. Three large Nevada casino companies, who are the foremost jobs creators in the state and whose bottom lines are extremely vulnerable to unnecessarily high electricity prices, are fed up with NV Energy’s high prices and have petitioned NV Energy of their desire to buy their electricity elsewhere. Despite their requests, the PUC ruled in December that MGM Resorts, Las Vegas Sands Corp. and Wynn Resorts would have to pay a staggering $127 million in exit fees to purchase their electricity elsewhere. The PUC sided with NV Energy on virtually every contested fee calculation, no matter how farfetched the asserted harm to NV Energy. Lost in the news coverage about the $127 million in exit fees are additional poison pills, apparently added out of vindictiveness. The most draconian of these provisions forbids the casinos from purchasing power that previously came from resources controlled by NV Energy. NV Energy, like many other utilities, often sells excess electricity in wholesale commodity markets. Utilities and power providers purchase excess electricity from each other, rather than generating additional, unnecessary electricity. Stretching its powers far beyond what the Legislature intended, the PUC has unilaterally ruled any power provider selling electricity to a casino seeking to leave NV Energy must guarantee and document that none of the electricity it sells to the casino was ever connected to NV Energy or its generation equipment. For all practical purposes, this restriction makes it almost impossible for anybody other than NV Energy to sell electricity to the casinos, directly contradicting the Legislature’s purpose of granting customers an out clause from NV Energy. It is no secret NV Energy invests millions of dollars each year in full-time lobbyists in Carson City. The utility is, by most accounts, the most powerful lobbying outfit in the state. Those lobbying efforts are predictably focused on influencing the PUC. Still, the PUC can only do what the Legislature says it can do, and PUC commissioners serve only four years, unless they are re-appointed by the governor. The PUC’s three commissioners — Paul Thomsen, Alaina Burtenshaw, and David Noble, all appointed by Gov. Brian Sandoval — might be serving their own interests by giving NV Energy lobbyists every single request they desire against Nevada’s largest jobs creators. But don’t be surprised if Nevada policymakers and their constituents make this outrage a public policy priority and fire back soon, with some common-sense reforms that the PUC and NV Energy will not like. — James Taylor (jtaylor@heartland.org) is senior fellow for environment policy at The Heartland Institute. — The Las Vegas Review-Journal is owned by the Adelson family, which has a controlling interest in casino operator Las Vegas Sands Corp.